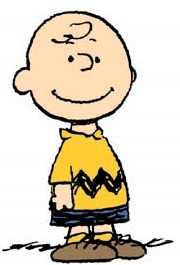 They also remind me of Charlie Brown. :o) Rickrack always makes me think of good ol' Chuck. And on a side note, we totally just scored "A Charlie Brown Christmas" for $.50 the other day! So. Excited. I've been trying to buy that for like, ten years, literally, but I can't stand to pay the $25 dollars that stores charge at Christmastime! You know? Ok. I'm done. So the second project we shared is one that Paige and I worked on together as well. I wasn't sure if the editors would "get it", but they loved it! Phew. 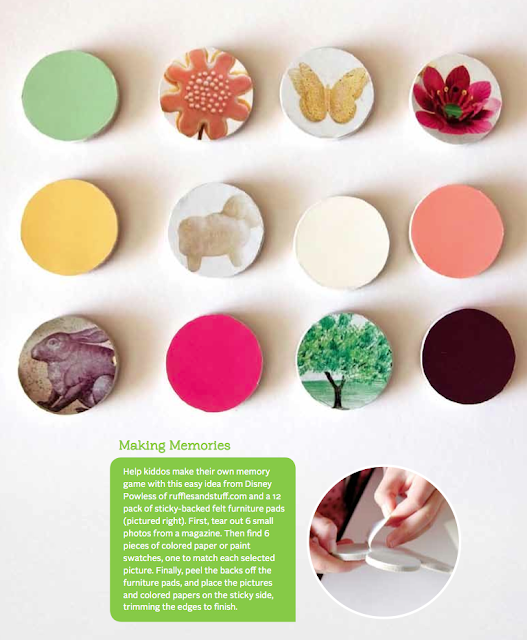 It's a color-matching memory game made of felt furniture pads (the kind with the sticky backs) and magazine pages. Really easy to make (just stick pictures to the sticky side and trim!) and kids love picking out the photos themselves. You could do colors like I did (Pink flower matches pink swatch, etc.) or match animal pictures, planes trains and cars, words, numbers, anything! I also thought it would be cute to get double prints of family photos for it. You know, match Uncle Bob to Uncle Bob...fun! It would make a cute Christmas gift I think. Anyway, if you don't get the Fresh Style mag where you live, you can buy it online, here! There are tons of other cute ideas in there, too. I really loved the issue, actually! Really inspiring. I noticed Jennifer Holmes of Dear Lilly, and Victoria Hudgens of A Subtle Revelry. in there as well. Cool to be in the same publication as those lovely ladies! Well I hope this post finds you well, my dears. I'm feeling much better! Ready to start crafting and working on my studio. It's been killing me to sit in bed!! 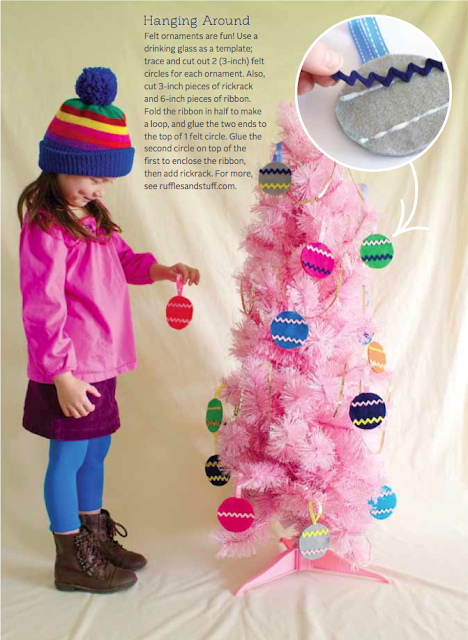 you really have the greatest ideas on kid projects that cost little to nothing. you could totally write a book!!!! hello!!!!! i just love all your thrifty ideas! been following for a while- never commented though. Love the ornaments!!! pinning! Your simple but brilliant creativity never ceases to amaze! I also love that your crafts don't depend on having a high end budget!